I am serious guys… I don’t know how I made it to Friday. Because we spent half the week testing and the other half veggie, I figured this hodge-podege of a week was a perfect post for Doodle Bug’s Five for Friday! On Monday we were lucky enough to have THE Jack Hartmann come and perform for our K-2 group. The kids had a blast and loved getting down with this kindergartner version of a rock star! I could tell my little seconds were a bit tense before taking their first BIG test (or maybe it was their teacher). Anywho… I thought a little Henry and Mudge would put their little worried hearts as ease. So read how Mudge got ready for his big test. After reading, we took to our RRJ. The kiddos did a a quick write on whether they preferred to take the SAT-10 or Mudges’ test and why. This kiddo said yes to Mudge’s Test…I wanted to lay down too! We also took advantage of those last precious moments before our testing to review some math concepts. Boy, was I glad that we took the time to learn how to use those testing rulers! The kiddos rocked the measurement portion of the assessment! Woop! 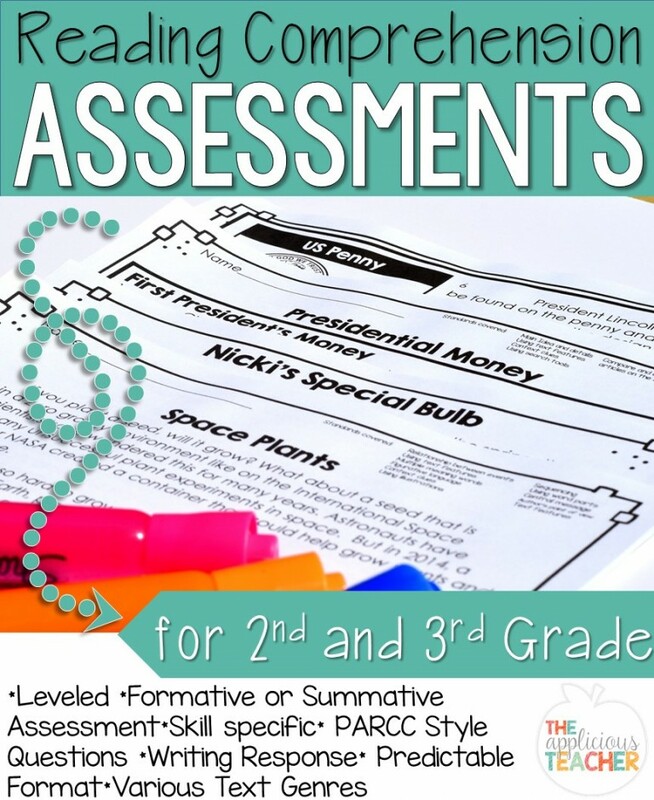 You can grab this little measurement freebie here! Tuesday was our first day of testing and I didn’t dare mess with our calm and collected testing mojo with a silly April Fool’s joke in the am. But the afternoon was a totally different ball game! My saving grace was these fun “Einstein Exercise” cards we used during our breaks. They were prefect to whip out and get our bodies re-energized for another ’bout of testing. Think of them as brain-breaks but without the use of “electronic devices”. To make them, each kiddo got 2 paper plates, a brad, a blue and red crayon, and clock hands. Together we labeled the hours on the first plate in red and cut hour tabs. Then, we took the second plate and put it behind the hour plate. We lifted each tab and wrote the 5 minute intervals underneath. Once both plates were complete, we finished off the clocks with clock hands (red-hour, blue-minute) and used a brad to keep it all together. It was an “Ah-Ha!” moment for those kiddos were were still struggling with telling time to the five minutes. They had a blast challenging each other to tell the time and check their answers.